Today's episode is all about what it takes to develop a legal, affordable tiny house community. 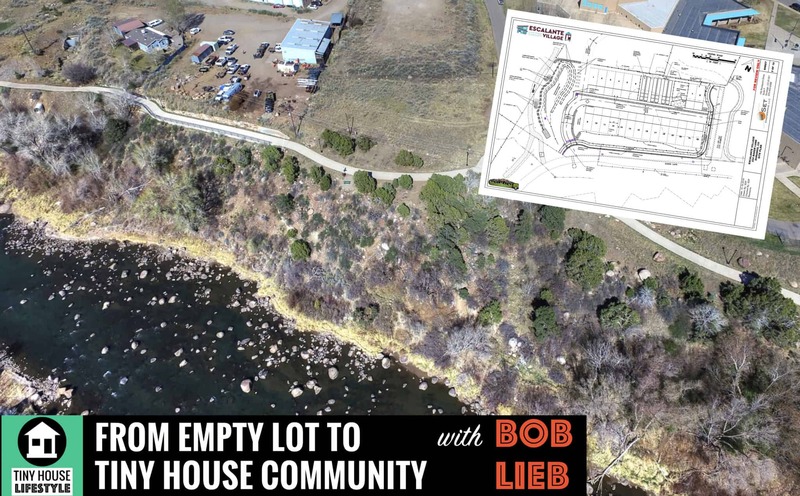 I asked Bob on the show because I've heard a lot of buzz about Escalante Village, which is a riverfront tiny house community in Durango, Colorado. What really struck me about Escalante village is the mix of a fantastic location close to the downtown of a desirable city, the affordable rental rate, and a mix of pre-built tiny houses that are available for rent and empty spaces with all the hookups where people can bring their own tiny houses. Bob shares his vision for the community, as well as the challenges that he faced in going through the regulatory process. Things that we will all need to go through as we work to legalize tiny houses or develop a tiny house community. Why did Bob decide to build a tiny house community in the first place? What makes Escalante Village unique? Why are RV’s and Mobile Homes not allowed? Is a tiny house community a good business opportunity? What are the regulatory challenges involved with developing a tiny house community? What infrastructure does Escalante Village offer to its inhabitants? Are composting toilets allowed in the village? What advice does Bob have for others who want to develop tiny house communities? The Tiny House Lifestyle Podcast is sponsored this week by the Tiny House Design Build Certificate at Yestermorrow in Waitsfield, Vermont. The Tiny House Design/Build Certificate is for everyone from professionals entering the tiny house market to DIY’ers who want to design and build their own tiny home. This is THE most comprehensive Tiny House course available, the curriculum covers all the must-knows for tiny house design/build and offers students hands-on experience designing and drafting their own tiny house and building a tiny house on wheels for a real client. To learn more, visit yestermorrow.org/tiny. Use the coupon code podcast to waive the $25 application fee. Thank you to Yestermorrow for sponsoring the show show!